I must confess that I am not very fond of gas guzzling American cars, but once in a while a car comes along that endears itself to you by just being the right package, at the right price and simply sublime. The new Jeep Cherokee is such a car! Notwithstanding the slanted headlights and funny looking grill, this Jeep is no ordinary mutt. Whatever you think of the styling and your preference, I think that Jeep has just landed the best car in the medium SUV segment. 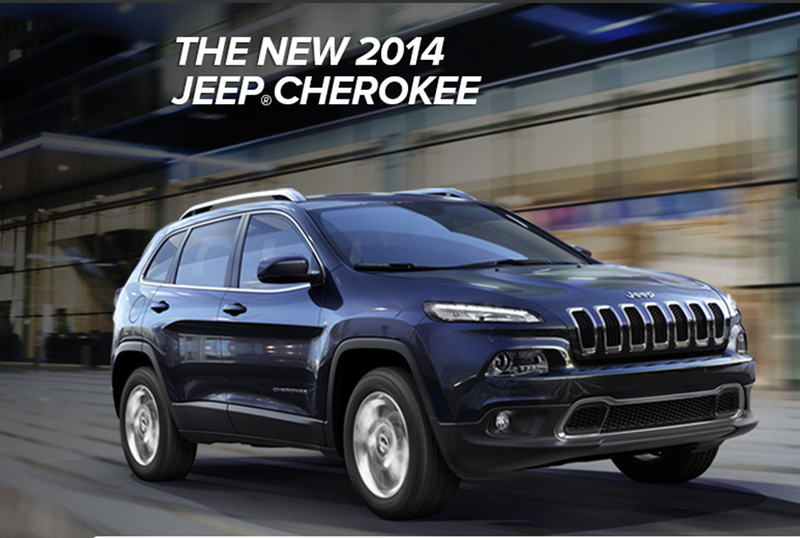 The new Cherokee is quite different from the old-fashioned solidly built one it replaces. Although the old Cherokee was alright and reasonable for what it offered in 4WD capability with family-friendly features to boot, it lacked finesse and sophistication which the new one has in spades. In looks, features, interior finish and driveability, the new Cherokee is streets ahead of the box shaped wagon it replaces. It is quite striking but unmistakably ‘a Jeep’. The new Jeep Cherokee interior is a fabulous and posh blend of beautifully hand-sculpted shapes, premium quality materials that have been crafted to allow the driver to enjoy state-of-the-art technology. The design ergonomics are thoughtful, insightful and clever and give the car an intuitive and easy-to-use feeling coupled by a quiet cabin. The seats, in plush leather, are very comfortable and you can easily find a comfortable seating position irrespective of the height of the driver. The only wish could be an even better reach for the steering wheel. I am not very tall but I was straining to reach the steering wheel having pushed the seat back. The 3.2 litre Pentastar V6 petrol engine mated to a nine-speed ZF automatic transmission is a dream to drive. The nine-speed automatic gearbox offers a liquid ride that is sublime on the open road. T has admirable fuel economy to boot and offers a smooth ride. I have always wished that there could be higher gears in most cars for cruising on a long drive while taking in the sights and sounds of our beautiful landscapes and I have al last found it in this ‘modest’ Jeep. The steering is light but assuring with good feedback, making light of obstacles off-road and quite capable on-road. The engine/transmission pairing is class leading in this segment of SUV. Gone are the days when you needed to be butch to go off-road and dainty to be on-road. This is no speedster, so the 0-100km/h discussion is misplaced in this segment. The new Jeep Cherokee is a class leading mid-size SUV with cutting edge design and overall commendable driving performance. Besides looks that may not appeal to most buyers at first glance, its ability to grow on you is pleasantly uncanny. After a long, mostly “hate relationship” with American vehicles, I am a convert to this new Jeep. This is the perfect vehicle for the off-road type woman looking for a car like features in a package with sufficiently high ground clearance and superb off-road ability. Jeep definitely has a winner in the new Jeep Cherokee.